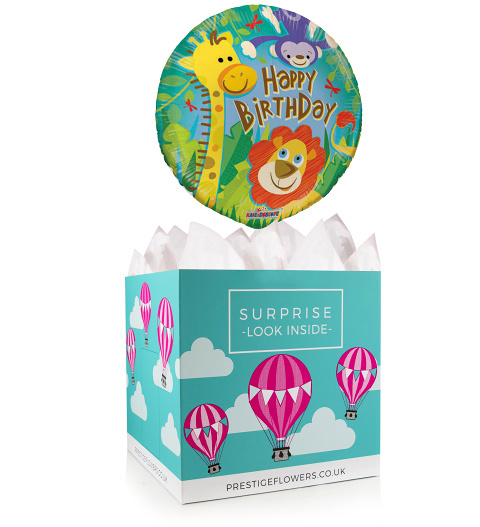 Perfect for all birthdays, the lucky recipient will love this bright 18-inch helium balloon and colourful gift box. You can also take your pick from our various optional extras such as chocolates, wine, cake, and cuddly bears. Write your very own message and we will make sure that it is included.